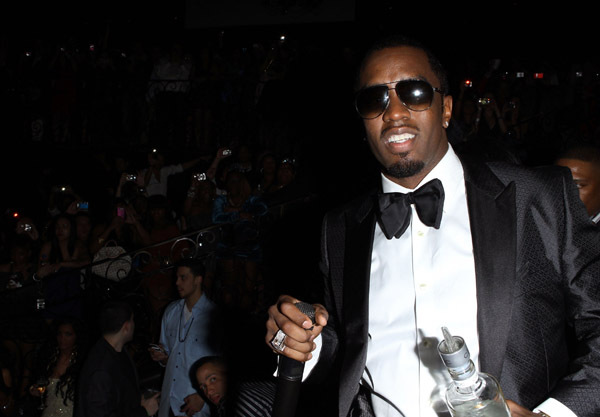 Sean ‘Diddy’ Combs is ready to kick off the Super Bowl XLV in Dallas where he will be hosting a lavish Super Bowl ‘Fantasy’ Party on February 5, 2011. Partying with ‘Puff’ won’t come cheap though, ticket prices range from $500 to $25,000. The most expensive package at $25,000 includes a private cabana (adjacent to the stage) with 20 VIP tickets, 5 champagne and 10 premium bottles, open bar, an event hostess, appetizers, dessert, VIP entrance and VIP valet parking. The party will take place at the Tower Building in Fair Park, 3809 Grand Ave, Dallas, TX from 9 p.m to 4 a.m. Tickets are on sale now and can be purchased through Capital A Entertainment.